PHOTO SUBMITTED Spencer Williams is the owner of TechSpace, a new business in Suite C at the Laird Arcade. A new computer repair service store has opened in downtown Tiffin. TechSpace, 116 S. Washington St., Suite C, opened a little more than a month ago and offers all kinds of tech assistance, said owner Spencer Williams. “We can take anything apart in a laptop. We do motherboard replacement, LCD replacement, virus removals. We can do data recovery and desktop repairs. We can even make custom-built computers for people. … We pretty much do anything computer-related,” he said. He said they handle more than just computer repair. “People can come here and get their iPhone or tablet repaired and we normally do same-day service,” he said, adding that there are not many places in the area that do that. Tech Space also provides free estimates, preventive maintenance and networking services, according to a release. Williams, a graduate of Columbian High School in 2007 and Tiffin University in 2012, said he has worked with Lennie Simmons and James Smith at Smith Systems for the past three years and they all work together at TechSpace. 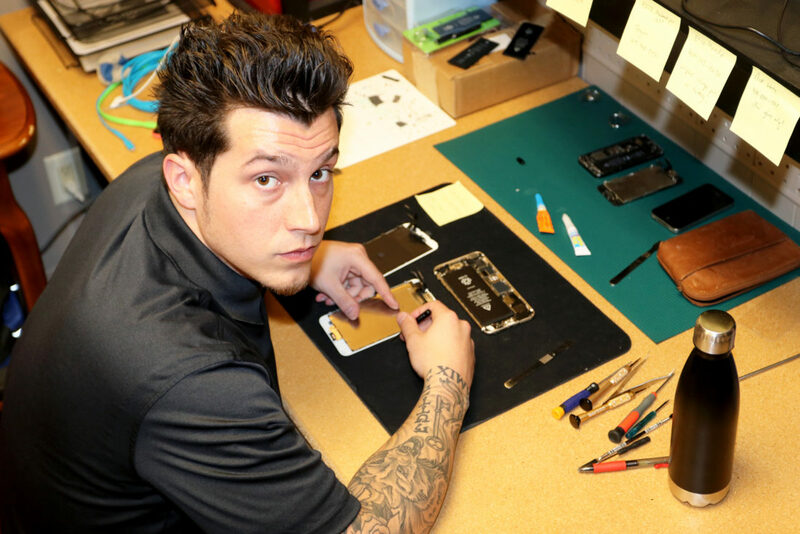 He said while he handles all phone and tablet repairs, Simmons is a computer technician and Smith does networking and service calls. Williams also said he really liked the Laird Arcade as a place to open his business. Williams said TechSpace is open 10 a.m.-6 p.m. Mondays through Fridays.